This was a proofreading of a translation from English to Gujarati. I proofread the Gujarati files. This project had some files related to housing for senior people. 1. Gas steel drum where the possibility of nerve gas has been stated. 2. The American army has said that it has given a 2 week deadline for Iraqis to return the weapons used by the army so that the all prevalent crime in the streets of Iraq could be brought under control. Professional practices roomynaqvy.blogspot.com endorses ProZ.com's Professional Guidelines (v1.0). 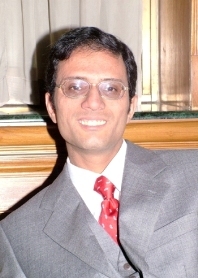 I run a successful blog on education at http://issuesinacademics.blogspot.com/ I was ProZ.com Moderator for English-Gujarati, Gujarati-English and Literature/Poetry Forum from December 2000 to December 2007 when I quit due to personal reasons. I have also helped localize ProZ.com into Hindi. I'm one of those fully trilingual people and I possess exceptional fluency in English, Gujarati and Hindi. [I have put the three languages in an alphabetical order.] The latest thing you have is my blog. You can always check it out at http://roomynaqvy.blogspot.com. You can subscribe to my Newsletter on my blog home page if you want. And this is really an interesting blog about a number of issues and ideas. I have a new blog now and I plan to make it permanent. It is hosted on my personal website http://www.roomynaqvy.com You can also subscribe to my feed at http://friendfeed.com/roomynaqvy. I also have a web profile at Social Picks, the social networking website on stocks and stock markets, run by Reuters. You can view my profile there at http://www.socialpicks.com/roomynaqvy. This is a serious website devoted to stock market picks. I became a member there on June 14, 2008, and from June 14th till today, July 15th, I have had 7019 profile views and I outperform 28% of the community there. I possess an active interest in a number of things in life, which include stocks, literature, translation, current affairs, corpus linguistics, media and its role in society, public relations, tea and coffee and philately as well. If you stay in the US/Canada, you can call me at my SkypeIn landline number, even if you do not have Skype on your PC, at (201) 467-4637. You will either be able to reach me online or leave a voicemail for me. If you stay in the UK, or if you are in the EU and don't mind calling a London number, even if you do not have Skype on your PC, you can call my landline number in London at 020 7871 2786. You will either be able to reach me online or leave a voicemail for me. 3. Life member of Gujarati Sahitya Parishad [Gujarati Literary Academy], Ahmedabad, Gujarat, India. 5. Member of TESOL [Teachers of English to Students of Other Languages]. I was interviewed by Dr. Tim Altanero of Austin Community College, Texas, for my views on translating airline menus. His article, featuring my quotes, has been published in Multilingual Computing and Technology at www.multilingual.com Issue #76. I work as an Assistant Professor at a University in New Delhi, India, where I also teach a special course on Translation. The course is aimed at existing students of the University. It is called Certificate Course in Translation Proficiency. I have been actively involved in framing teaching materials for the course as well as in teaching it since the academic session 2004-2005. ***If you would like to work with me and respect me for my ability, I would be glad to work with you and we can work out a price that is not too high for you and which is respectable for a competent professional. news reports, editorials, news websites. Literature,short stories, poetry. Social sector, housing, school surveys, ethnic background. Glossary,financial terms etc. The place you see is Porto Santo Stefano, Tuscany, Italy. I was there to participate in the First Annual ProZ.com Convention in 2001. The sea is really tranquil. The only regret is that the Convention lasted a mere two days and gave me no time to explore the beach. The fact that this picture is there does not only mean that I possess a profound interest in Western Classical music. It also means that I am a virtuoso like the great Mozart when it comes to translating a file. You will find the same fluency in translation. If you wish to work with me, you will soon realize that it will be fun. I believe in the highest possible quality standards and try to ensure a very smooth workflow.